The goal of this mod is to allow you to place items (SHIFT+Right Click) to decorate your home, granary, artist gallery, stable, and many more. Tons of items have fun interactions you can enjoy by right-clicking them. 45° degrees rotation - precise rotation system that allows you to determine the direction items face! Fully multiplayer compatible - go ahead and show off the cool stuff you can make to your friends! Cool item interactions - on right click, most of the items have a cool interaction, try them out! Placeable achievements! You will receive a trophy for every achievement and have the ability to place them down in a trophy room. More items! We are not completely finished with vanilla items as of now. Mod support! We want to add models for items from other mods. Multiple models per item! There are going to be variations for many items that are going to appear randomly when placed. Can I use this on MCPE (Minecraft Pocket Edition)? No. It is a mod, not an add-on. MCPE also doesn't offer block and items models. Can you backport (downgrade, make an update for an older Minecraft version)? Because the time needed to create updates for the mod, no. We encourage other mod creators to have the same approach and help everyone avoid this problem. However, if bugs are found in older versions, we will be looking into fixing them, but newer content will only be put in newer Minecraft versions. Just like you would do with every other Forge mod. Put the .jar file inside your mods folder once Forge is installed. I have found a bug! What do I do now? You can post a comment here, on the Minecraft Forum page or in our Discord server. If you have a Github account, it is preferred to open an issue here. Detailed explanation, crash report (if any) and screenshots are very helpful. We'd also appreciate it if you sent us the link to your published modpack once it's done. You do not need our written consent as long as you respect the conditions. Otherwise, you are not allowed to use the mod in your modpack. We wish this section didn't have to exist, but as some people have bad intentions, here it is anyways. All the models and textures included in the source code or the compiled distribution are the sole property of MasterianoX (Vilim Muršić). You are therefore not allowed to copy, distribute, share, modify or alter for public use the models or the textures in any way shape or form unless prior written consent is provided by MasterianoX (Vilim Muršić). You are not allowed to repost this mod or publish any altered version of it. You are allowed to use it privately however you wish, at your own responsibility. Any commercial use of this mod and/or any of its parts is strictly prohibited. Hey just a suggestion could you make it so dropped items turn into placed items? They are working on it as a resource pack. I've downloaded the file but it's telling me that I don' have any apps that can open It?? Plz help!! You need to install Forge and then drag and drop the .jar file to your mods folder. Search online how to install forge mods. What do I need to press on my keyboard to place the items? 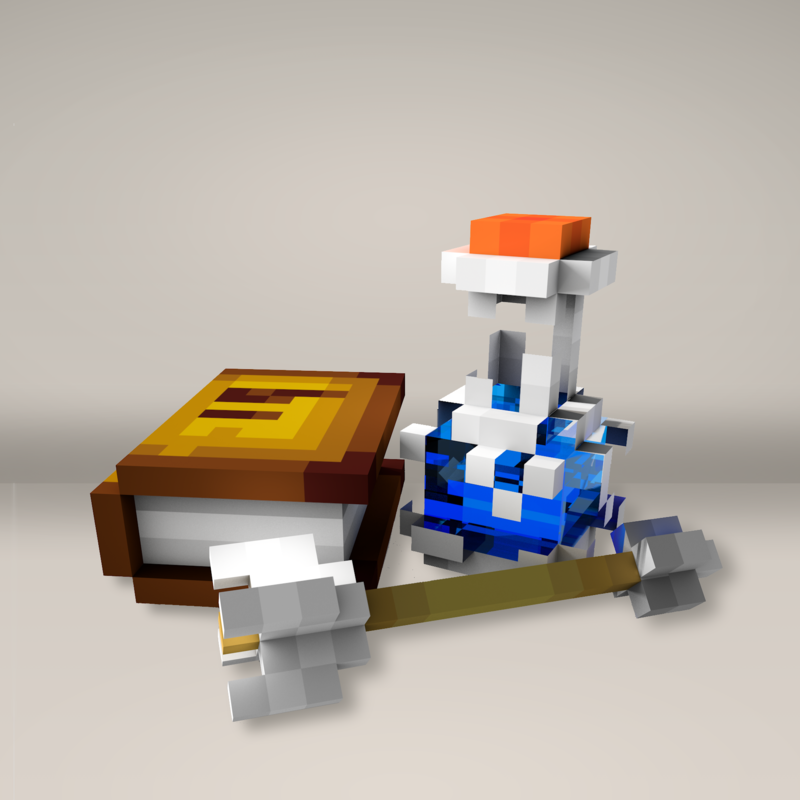 I'd LOVE to see these in a resource pack for items. Everything would look so cool in your inventory! Came here to say this. This pack's models have amazing potential. The Default 3D resource pack is very close to the 3D models, so you could probably use that for the time being. Thats what i use anyway so the placed items look closer to handheld items. It would be really cool if you could place maps on the table. That way you can put the compass on the table with a map and make something like a cartography room. Could get a bit complex though, I suppose, if you had multiple maps next to each other that melded together somehow, Idk it would be cool though.